And boy howdy is her conduct disturbing on the video. Turner’s resignation allegedly involved her intervention in a recent traffic stop in connection with her daughter in an incident that is rapidly going viral online. 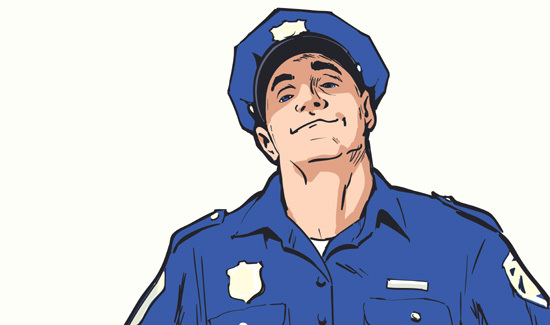 It’s widely understood that police officers sometimes will cut other law enforcement professionals a break after something like a minor traffic violation. But just like other stops, the professional courtesy is not likely to be forthcoming if the individual being stopped is saying things like ‘Do you know who I am?” and acting like they’re in charge as opposed to the police officers doing their jobs. No kidding? You’re a high ranking police executive? That’s nice. I’m a fly fishing enthusiast. Now stop yelling at me and go straighten out your spoiled brat kids. At any rate, if you want to see what entitlement really looks like, check out this video of the stop. Kudos to the officers for keeping their cool and remaining professional. Some people just can’t accept the fact that the rules apply to everyone.